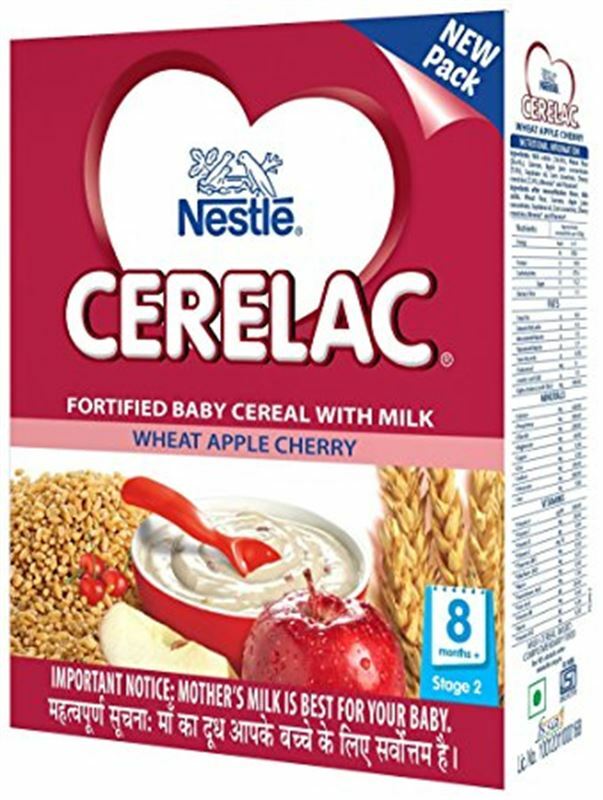 Nestlé Cerelac Fortified Baby Cereal with Milk is a complementary food for babies after 6 months of age when breast milk alone can no longer totally cover the baby's growing nutritional requirements. Cerelac provides the combined benefit of cereal and milk. The feed size may be varied on the advice of your pediatrician. While mother’s milk is best for your baby, infant food shall be introduced only after the age of 6 months up to the age of two years, on consulting with your pediatrician. After 6 months, in addition to milk and cereal feeds, it is also appropriate to give your baby other foods like vegetables, fruits etc. on the advice of your pediatrician.